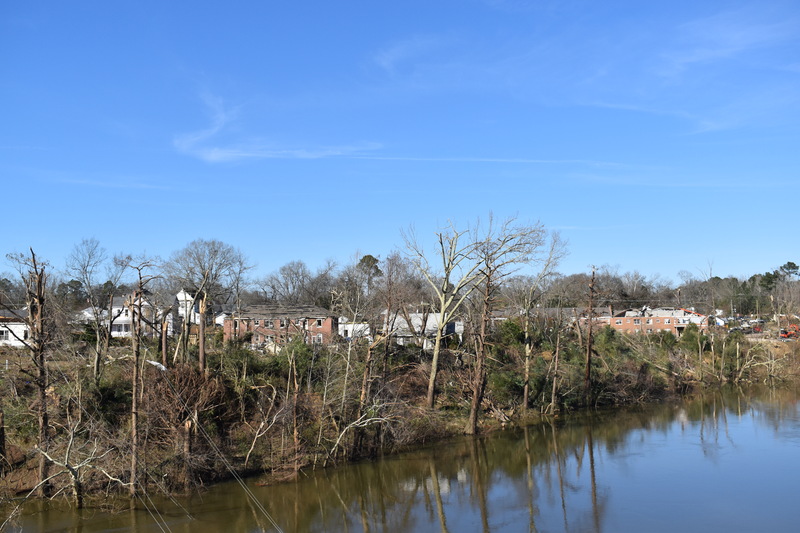 WETUMPKA — It took only seven days for Gov. 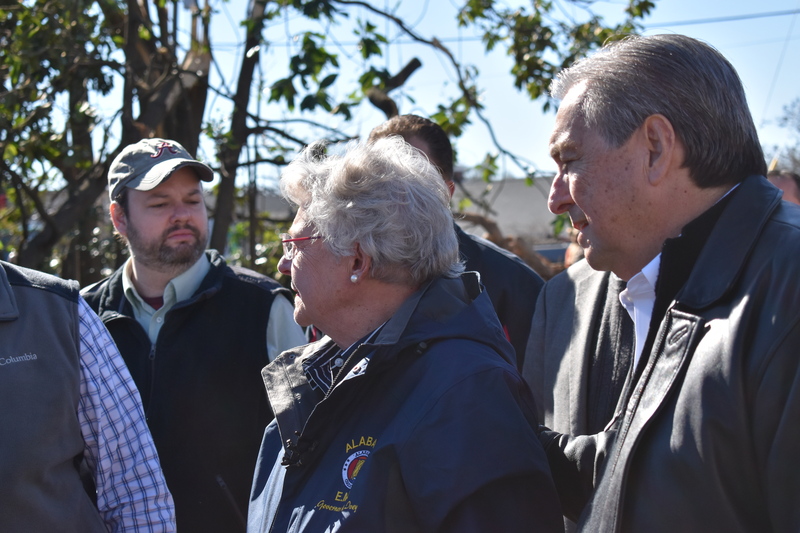 Kay Ivey to have to confront the aftermath of the first natural disaster of her new term. 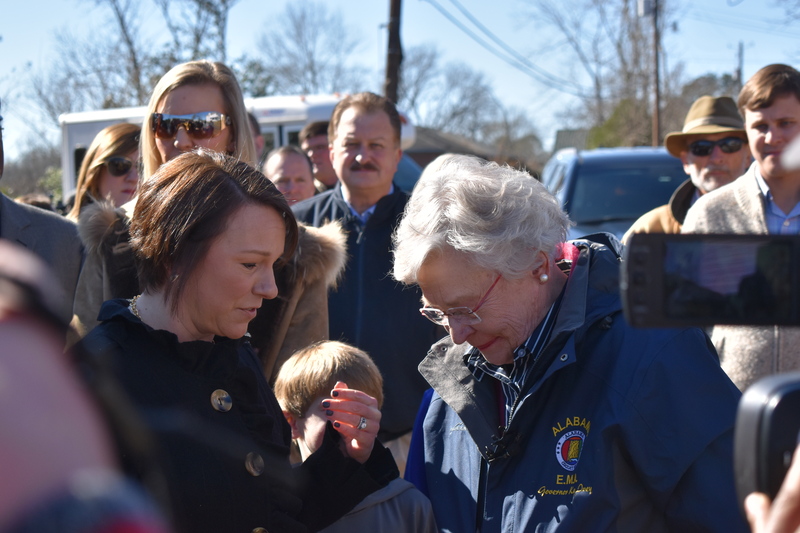 On Monday, Ivey and other local officials visited a neighborhood on the north bank of the Coosa River in tornado-ravaged Wetumpka. 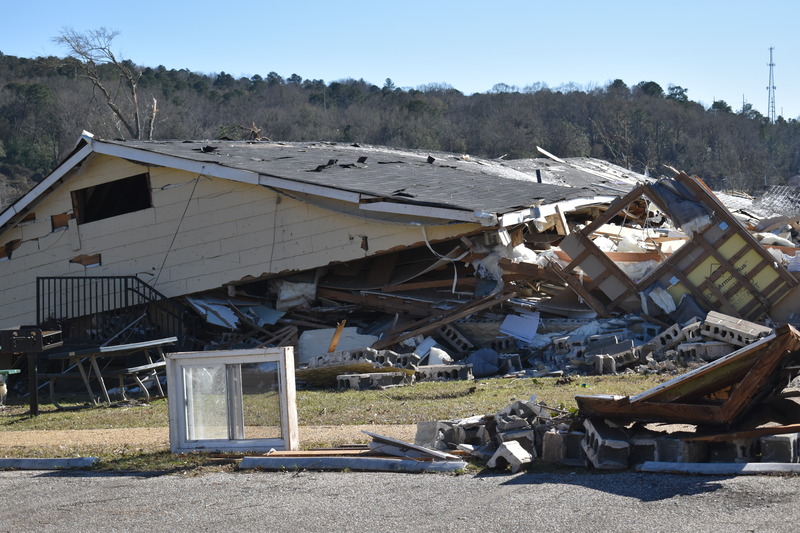 According to reports, a preliminary survey from the National Weather Service indicated an EF-2 tornado hit Wetumpka on Saturday afternoon with wind speeds between 120 and 130 mph. 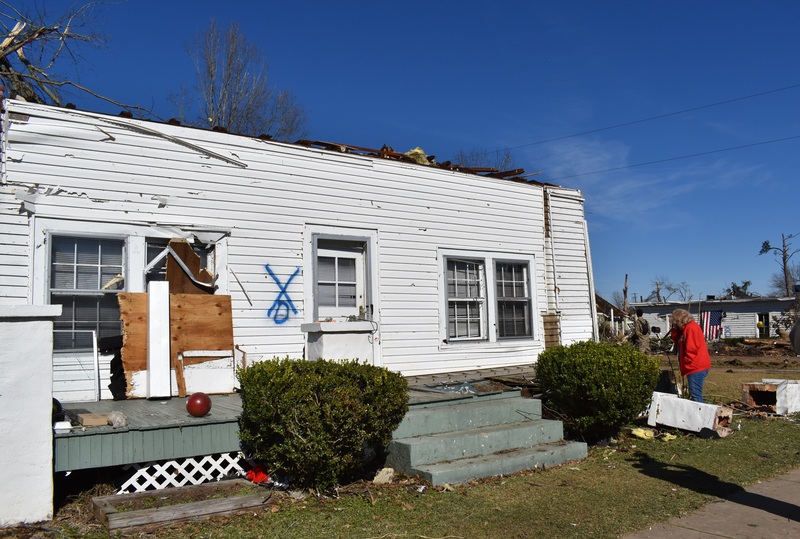 Ivey spoke to reporters after her tour, which featured severe damage to nearly three dozen homes. 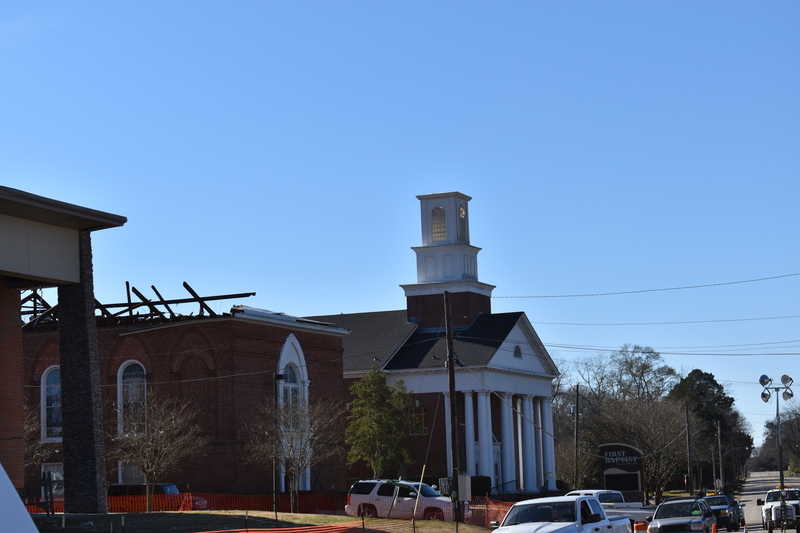 Wetumpka Mayor Jerry Willis, who accompanied Ivey on her tour offered reports on assessment of damaged structures, which included two historic churches. Willis said he hoped that historic church would be put back with its original theme. 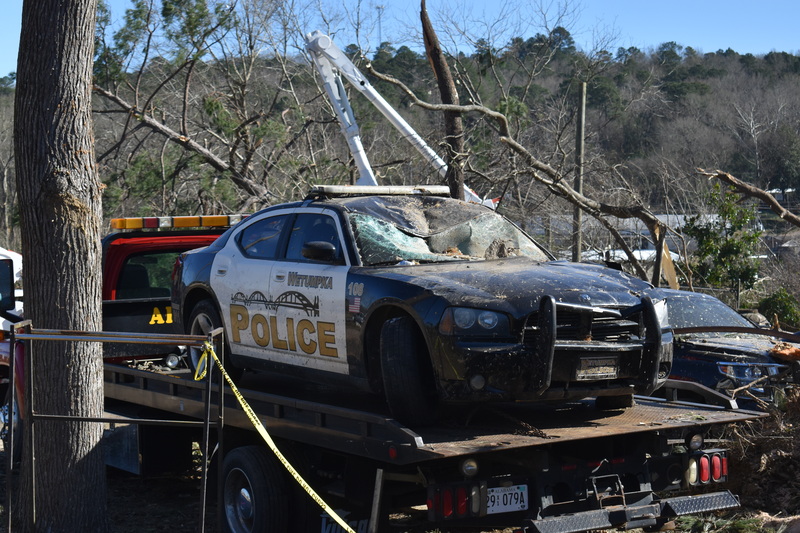 He also thanked local and state EMA and nearby first responders including those from Montgomery, Prattville and Millbrook.